Piedmont Arts Fund supports orchestral music, instrumental and vocal instruction in the elementary schools, jazz and concert band, dance, and theater. PAF helps to fund choral and instrumental coaches, accompanists, and clinicians. The funds raised also help to buy and repair musical instruments. Piedmont Arts Fund supports the visual arts by funding art supplies in the Elementary Schools, integrated art in all classrooms, materials for 2D and 3D electives at the middle and high schools, photography, graphic design, ceramics, film, and art books in all of the school libraries. Throughout the year there are performing arts events and visual art shows at the schools. In addition, there are Piedmont Arts Fund events such as the Chalk Art Festival in September, the Big Art Show in March, and the Piedmont Talent Show. Small art parties are also offered throughout the year by community artists for the entire community to enjoy. 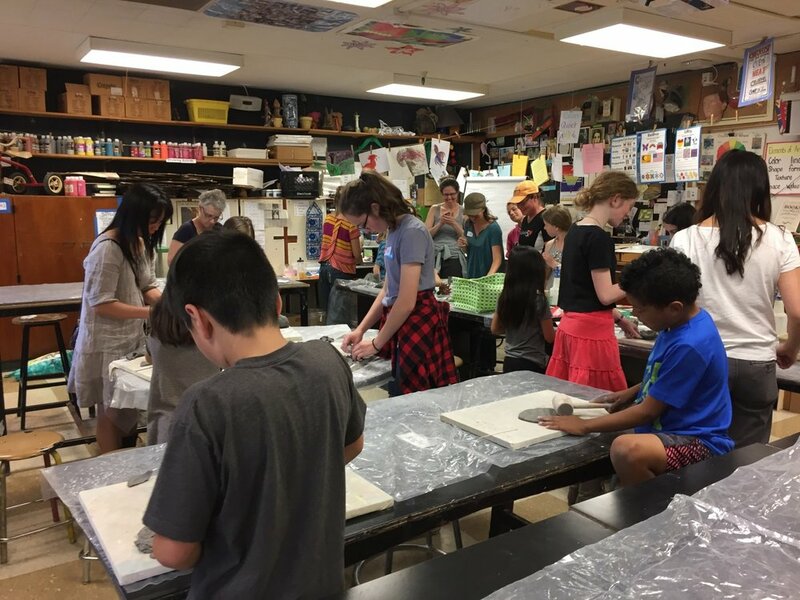 Piedmont Arts Fund provides essential funding and parent volunteering support for the Visual and Performance Arts at Piedmont Unified Schools in partnership with the Piedmont Education Foundation (PEF). Please donate generously during Registration Week, the Giving Campaign, and at Spring Fling. The breadth and depth of these offerings would be impossible to maintain without parent support. Piedmont Arts Fund (PAF) supports visual arts and performing arts + music in the Piedmont schools and we need your support ! Your generous tax-deductible contribution helps ensure that Piedmont students will continue to benefit from our excellent performing arts programs.